Coaches want to help athletes perform at their best, and SYNLawn wants to help. Improper shock absorption during athletic training can lead to many debilitating conditions, including shin splints, lower back fatigue, muscular exhaustion, and other chronic injuries. SYNLawn® New Mexico’s revolutionary SpeedTurf™ and TrackTurf™ allows athletes to train harder for longer, increasing their potential whenever they step onto our artificial grass. 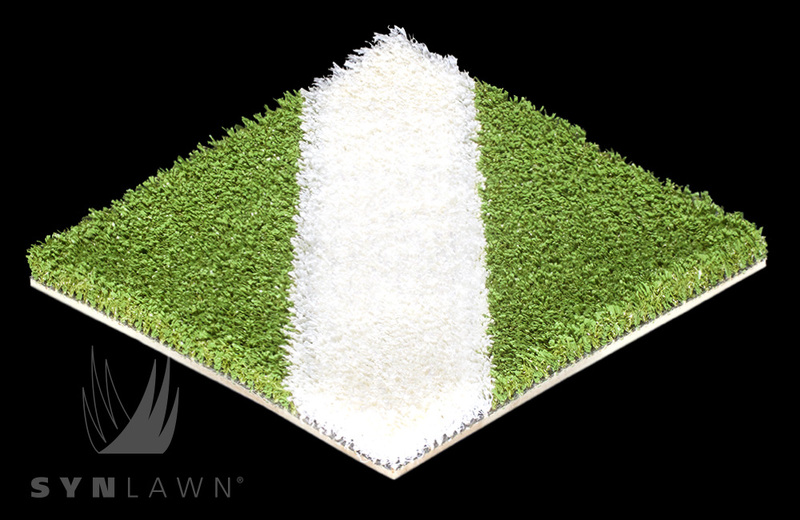 SYNLawn® New Mexico’s non-infill, low-friction synthetic sports turf features five-millimeter rubber padding, as well as a foam backing, to reduce impact and absorb energy even under rigorous foot traffic. SpeedTurf™ and TrackTurf™ have white lines built into the turf itself, eliminating the costly issue of frayed seams and faded markings. 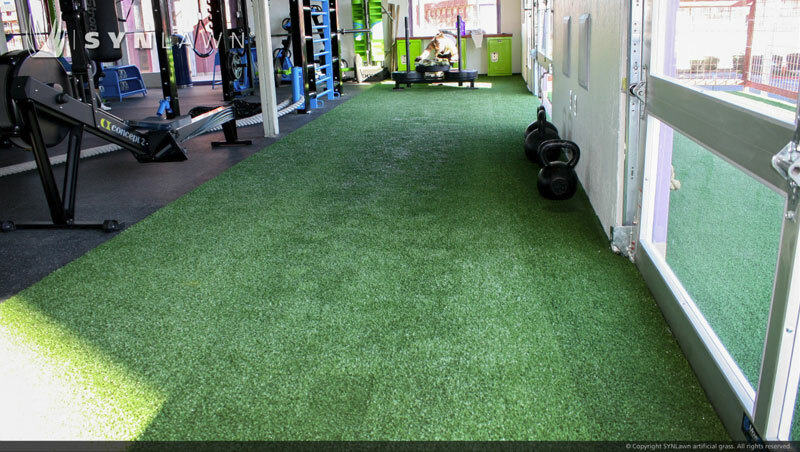 Our artificial sports grass comes in a variety of colors for your gym, training facility and track customization. SpeedTurf™ is the ultimate weight room and training facility surface to take your strength and agility training program to the next level. It is so strong and durable that it can even withstand the impact of indoor shot put training! With a nine-year manufacturing warranty, you can rest assured that your investment will last and work as hard as your athletes do. 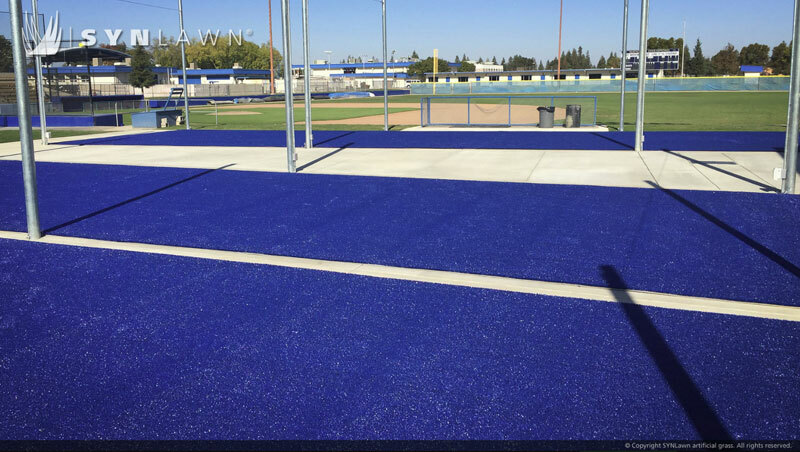 Get rid of your facility’s outdated, crumbling rubber flooring and install our state-of-the-art TrackTurf™ instead! Our synthetic sports turf is easy to clean and reduces the chances of staph infections and mold growth. It is also much more forgiving on athlete’s joints and muscles than hard, rubber surfacing. 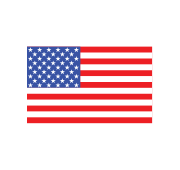 Are you tired of using weight sleds on uneven surfaces or in the parking lot or sidewalks? 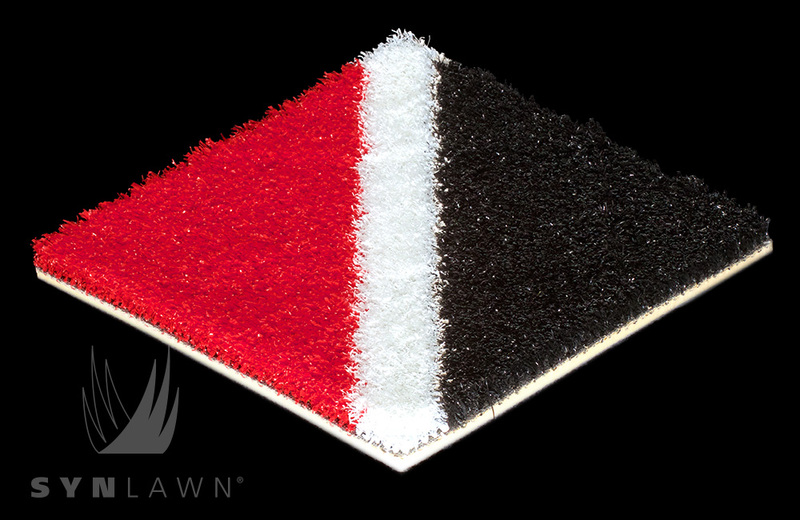 The blended nylon and polyethylene surface of our TrackTurf™ is less abrasive and creates less friction than competitor’s all-nylon products, allowing sleds to glide easily. Give your athletes the opportunity to perform at their absolute best on sports turf that mimics the feel of grass, but with added shock absorption. From agility training to speed drills, your athletes will notice the difference immediately; the next day, they will arrive to practice less sore and ready for another session! Train harder, better and smarter with SpeedTurf™ and TrackTurf™.